Genome-wide association study (GWAS) technology has been a primary method for identifying the genes responsible for diseases and other traits for the past ten years. GWAS continues to be highly relevant as a scientific method. Over 2000 human GWAS reports now appear in scientific journals. In fact, we see its adoption increasing beyond the human-centric research into the world of plants and animals. GWAS studies have been beneficial in agrigenomics for identifying genes associated with milk production in the dairy industry, coat color in sheep, along with identifying disease resistance in plants. Identifying the genes of interest for these traits allows farmers to selectively breed for the more desirable trait. This eBook aims to explain the basic steps and concepts to complete a GWAS experiment and address how these steps are implemented in SVS. In Chapter 1, we start with an introduction to GWAS exploring its biology and origins, as well as the practical use of GWAS. Next, we will look at performing a GWAS in the context of the SVS software, discussing quality control, including sample statistics, heterozygosity, LD pruning, population stratification and identity by descent. 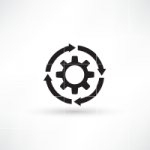 We also take a look at how to impute data within SVS. From there we move on to genotype association testing, and we close with a walk through conducting a Meta-Analysis in SVS. I spent some time to write a new section on Imputation, which is an essential capability when conducting genome-wide association studies. It allows the researchers to look for evidence of association between genetic markers that actually have not been genotyped. Imputation has the ability to increase the power of genome-wide association studies by enabling the research to combine data from different studies that were conducted using multiple genotyping platforms and methods. Imputation has enabled researchers to conduct meta-analysis on multiple GWAS studies by combining samples assayed on various genotyping platforms. For example, genotype imputation was used to combine GWAS samples for blood lipid levels, height, type 2 diabetes, body-mass index and Crohn’s disease, just to name a few. Researchers have a number of different imputation methods to choose from when conducting this type of analysis. For our upcoming launch of SVS 8.7.0, we have chosen to implement Beagle 4.1 which is a very popular choice among researchers. 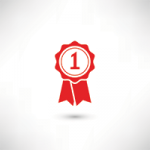 The eBook talks about some of the capabilities of the method, as well as some of its run time performance. We also discussed imputation in depth in a recent webcast. A lot of people at Golden Helix have contributed to this book. It would have been impossible to write without the ingenious work of our product developers who spent many years refining SVS to its current state. Specifically, I’d like to thank Gabe Rudy and Cheryl Rogers for their invaluable contributions. In addition, I am very grateful for the support I received from Dr. Jeffrey Moore, University of Illinois, and Dr. Marcella Devoto, Children’s Hospital of Philadelphia. 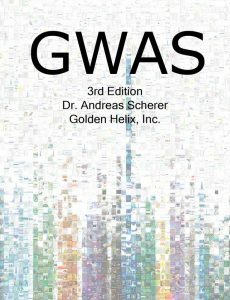 I invite you to read the updated GWAS eBook here. Enjoy!